“Irretrievable” first appeared in a slightly different form in Vayavya, in December 2013, and subsequently appeared here in April 2016.. This entry was posted in Memory, Poetry and tagged creative writing, gardening, language, memory, nature, poems, poetry, psychology, reading, writing by robert okaji. Bookmark the permalink. Wonderful piece, lost a loved one to Alzheimer’s… it brought me there, intended or not. 🙂 All the best! Thanks, Anthony. It is an insidious disease. This is beautiful. Great poem… Spoke right to me. I’m so pleased it resonated for you. Thank you. And sometimes peeling back our thoughts is just like that, daring us to touch further, wary of the consequences. It is, indeed. Getting to the pith of things can certainly reveal more than we expect. 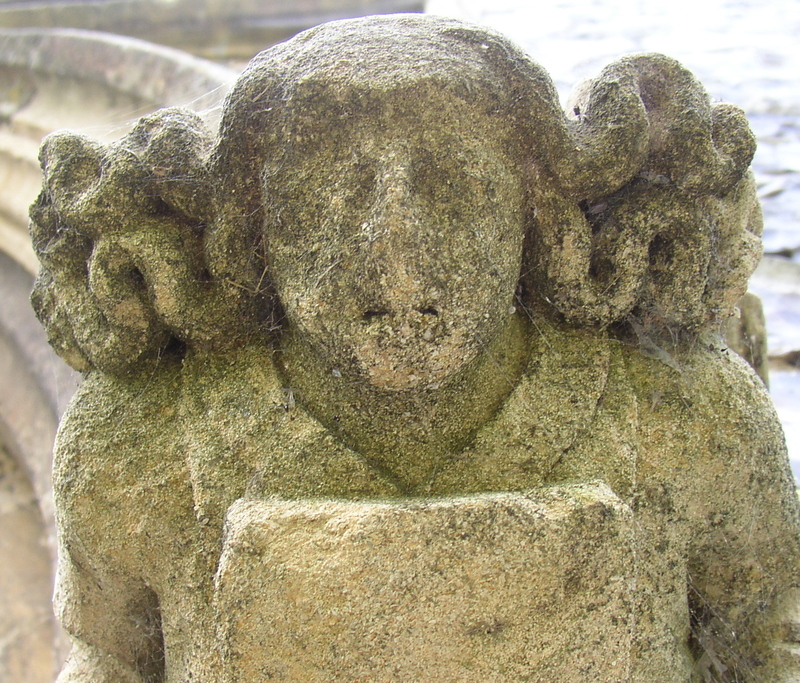 I’m enchanted by the statue photo, eroded, haunted, seeking a lost word on a stone scroll. So right for the poem. That photo found me. I certainly wasn’t looking for it, but when I saw it, I knew it was the right one! Synchronicity? Reading this about 10 minutes past a semantics snafu – communication scrambled in the conflict between “missed” and “abandoned”; emotions also scrambled. Perhaps would’ve been better with no word at all! Ooh, I know that feeling all too well! Thanks, Daniel. It has taken on new meaning for me in the past few years.